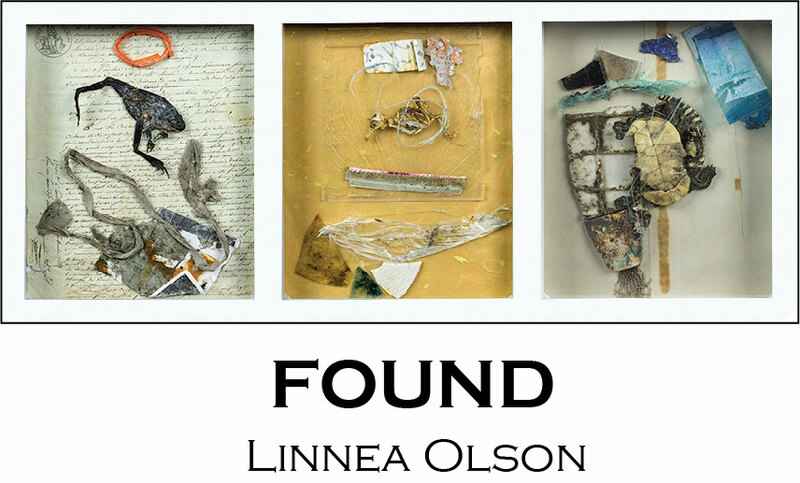 Please join us for the opening and gallery talk of "Found" by Linnea Olson. As she says about these new constructions and "Boxes": "Gone were the days of medium specificity as suddenly I looked at everything (everything) as material. And I began assembling and gluing with a passion I'd not felt since...well, perhaps ever. I had found my language."